This fresh and flavorful teriyaki marinade is ideal with chicken but also delicious with pork, beef or grilled vegetables. We have been eating dinner outside almost every night over the last few weeks and I love every single second of it. The boys get to run around outside, my husband can relax with a cold beer and I get to listen to their happy giggles (and occasional playful punches) while I’m manning the grill. I’ve been grilling for as long as I can remember thanks to my dad who always let me be in charge. Whether it was juicy steaks, bone-in split chicken breasts or a pork tenderloin, he always let me take over as a kid. 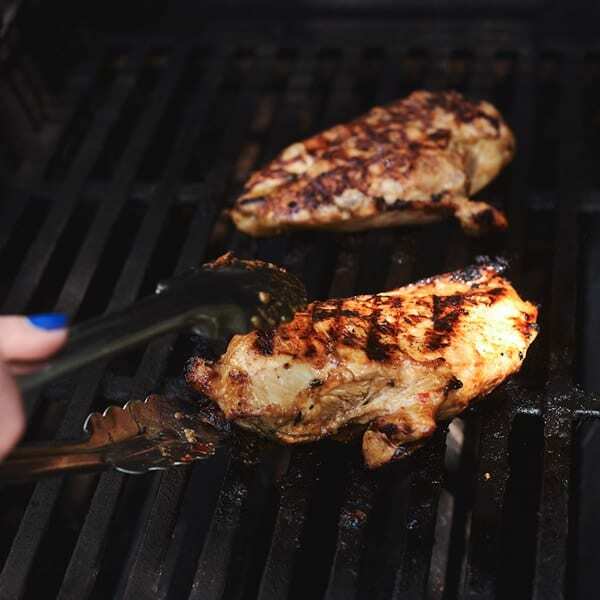 Grilling as an adult brings back many of those great childhood memories cooking dinner with my dad and I hope to create the same great memories for my kids. 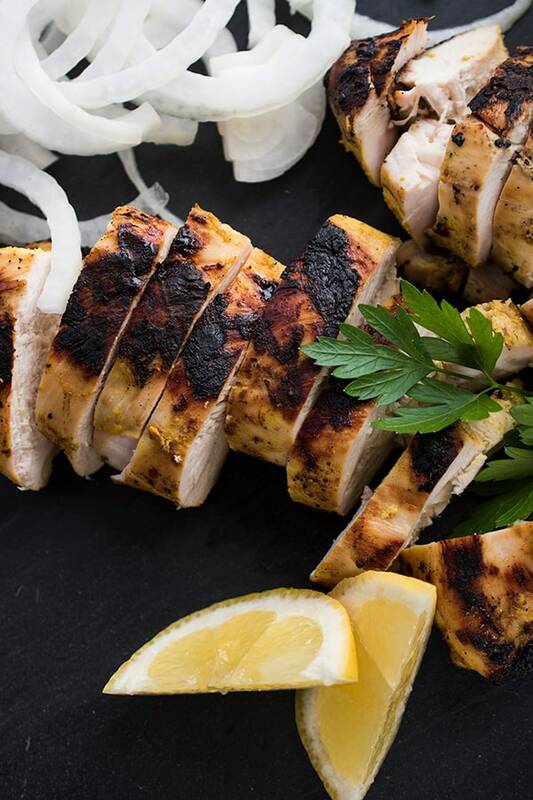 While we love grilling lamb, beef, fish and pork – we grill chicken more than anything else, hands down. 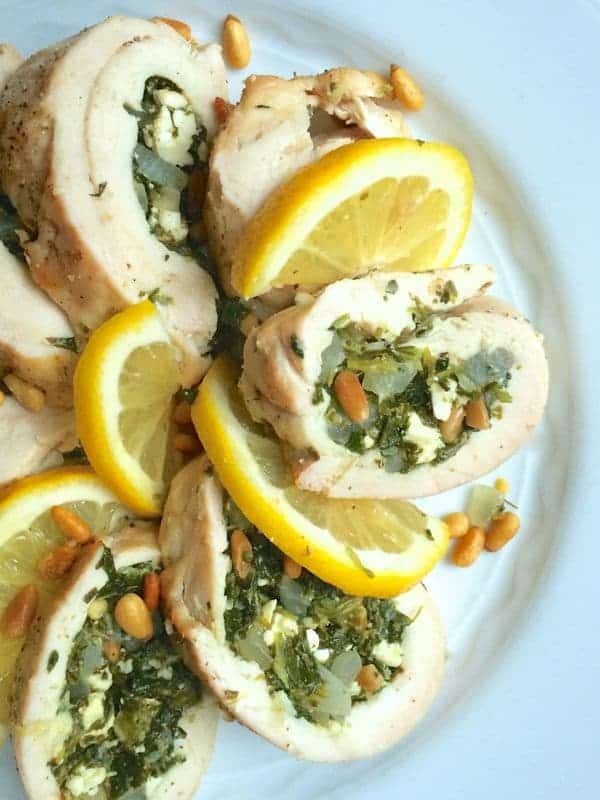 As a result, I love coming up with new and creative chicken marinades that would be just as delicious on any other type of protein I have on hand. For this quick and easy Asian teriyaki marinade I combined soy sauce with lots of ginger, garlic and other simple pantry staples you likely have on hand. 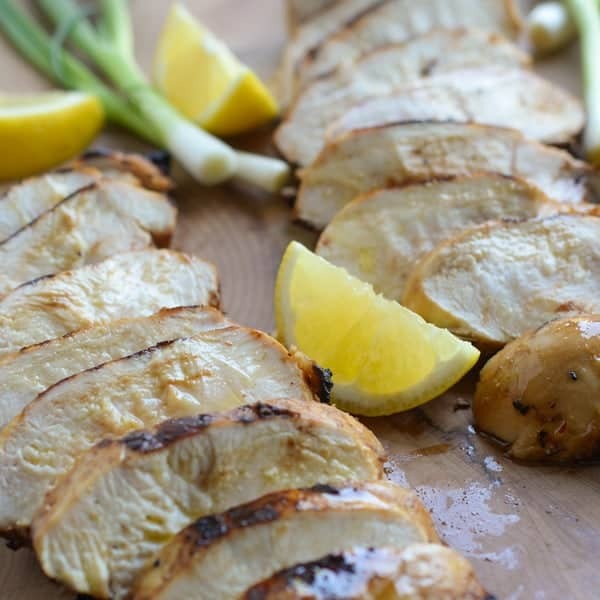 The olive and sesame oil keeps the chicken breasts juicy and the lemon juice naturally tenderizes them. The result? Perfectly moist grilled chicken breasts every single time. Place the chicken breasts in a large resealable plastic bag and add all remaining ingredients. Seal bag and toss well to coat. Marinade in the refrigerator for 30 minutes or up to overnight. To cook, pre-heat grill to high heat. 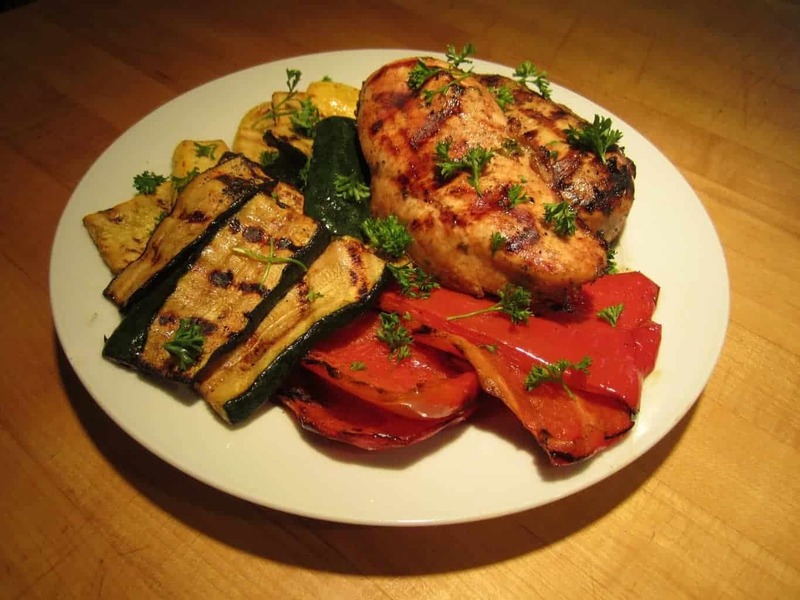 Grill chicken 4-5 minutes per side, turning once, or until fully cooked through. 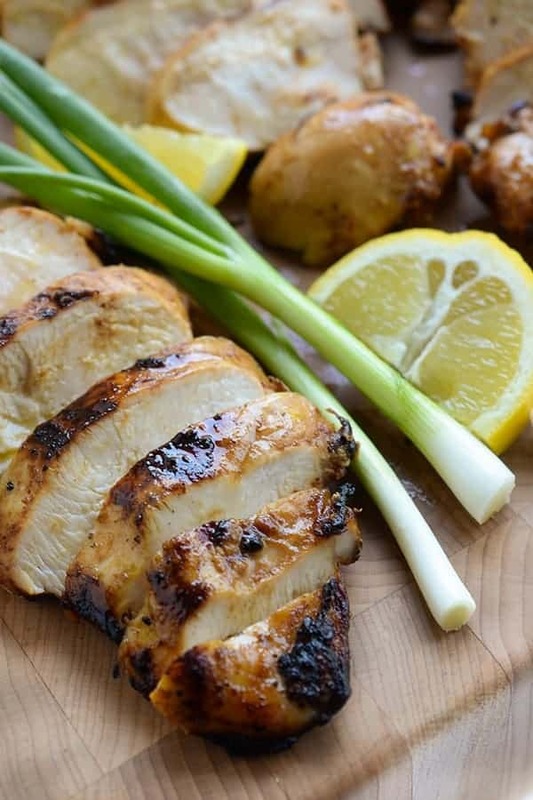 Also, check out these other great grilled chicken recipes! 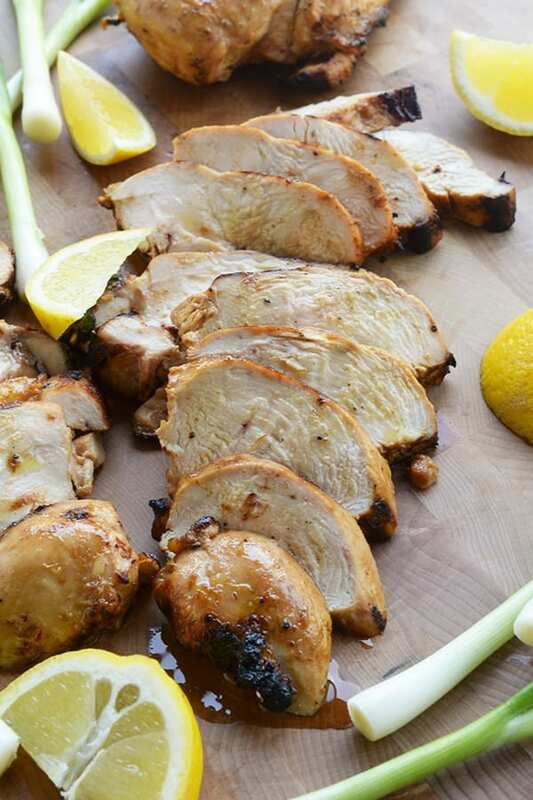 For more great grilling recipes check out my Pinterest board! I hope you love it!!! Great idea! 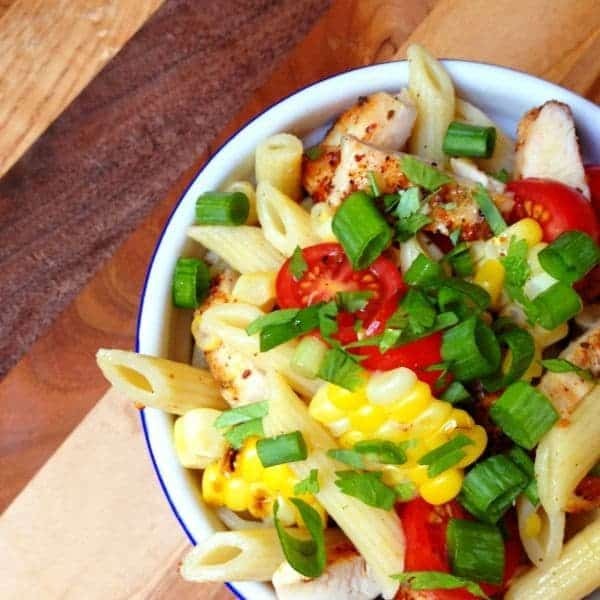 My tip is not to over cook – chicken breasts are fast cooking! Otherwise I would broil it like a grill – 7 minutes per side or so. I loved the sauce of teriyaki, such a delicious meal you’ve prepared! My pleasure Liz! Happy June! Oh that’s awesome you’ve started grilling!! Good for you! !